Windy City Times – Undoubtedly, Morgan makes the biggest impression as Lee, especially when she sarcastically deals with Aiello’s sarcastically defiant Hank (who starts the play in a mental institution for his destructive pyromania). Stage and Cinema – Elizabeth Morgan is good as Lee, emotionally taxed by a failed marriage that left her with two difficult sons along with a family in Florida with needs she isn’t prepared to meet… Then there is Bessie’s hard-boiled sister Lee, a cosmetician and single mother with a whiff of trailer trash about her. Lee arrives from Ohio with her two troubled teen-aged sons, Hank and Charlie; she hasn’t seen her family in many years and her appearance reignites friction with Bessie that has lain dormant during their long separation. Chicago Theatre Beat – Lee’s entrance turns the energy up markedly; she is the brassy foil to Bessie’s selfless caretaker persona, and Morgan brings vivaciousness to the role that makes her shine. 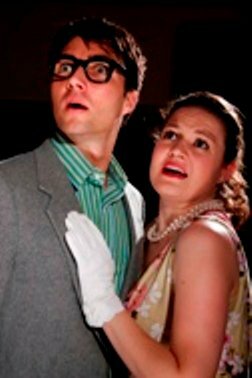 Oakpark.com – “The play focuses on estranged sisters with conflicting personalities who for two decades have led separate lives in separate states. Amanda Hartley and Elizabeth Morgan dominate the action as the siblings, Bessie and Lee, who have not even exchanged Christmas cards in years. 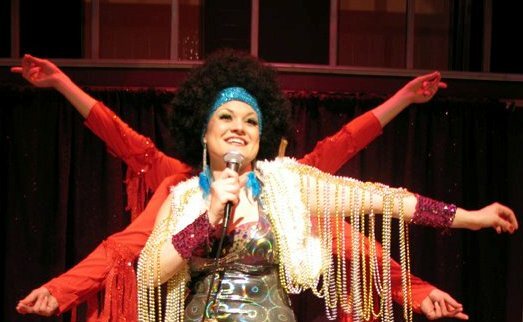 Chicago Theatre Addict – And in full-out scene stealing mode, Elizabeth Morgan is a wonderfully surprising Googie Gomez, the bathhouse’s fiery, third-rate Puerto Rican nightclub singer. Googie is one of those roles that is pretty much guaranteed to walk away with the show — she’s a real character with some wacky one liners, not to mention a ridiculously horrible musical/disco medley to liven things up in the first act. And then there are her disco-diva-meets-latina-carnival-performer outfits. In a less capable actress’s hands, the role could easily become a campy scenery chewer; however, Morgan’s Googie is a wonderfully weary creation, filled with droll line readings capped with burning glares. Think a sassy Puerto Rican Bea Arthur (if such a thing can even be thunk). 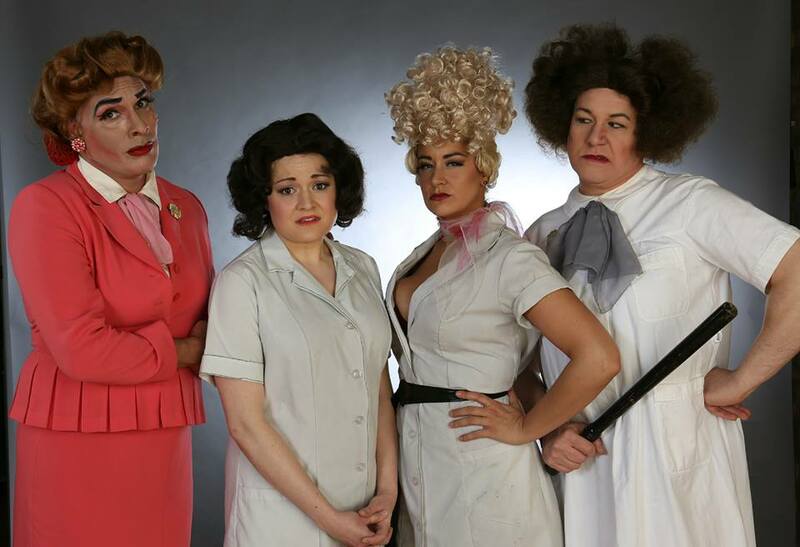 The Wednesday Journal – A major highlight of this production is Elizabeth Morgan in the role of Googie Gomez, a flamboyant, heavily accented Latin lounge singer with lots of chutzpah. To her, any role is within range. (Rita Moreno won a Tony playing Googie on Broadway.) The character is supposed to be a no-talent entertainer, but Morgan, with top-notch comic timing, is incredibly good.One of the show’s high points is a crazy show-tune medley (featuring every hoary Broadway hit song from “Climb Every Mountain” to “June Is Bustin’ Out All Over”) sung by Morgan with hilarious back-up by Nicholas Reinhart and Jordan Phelps. This cabaret act alone is worth the price of admission. 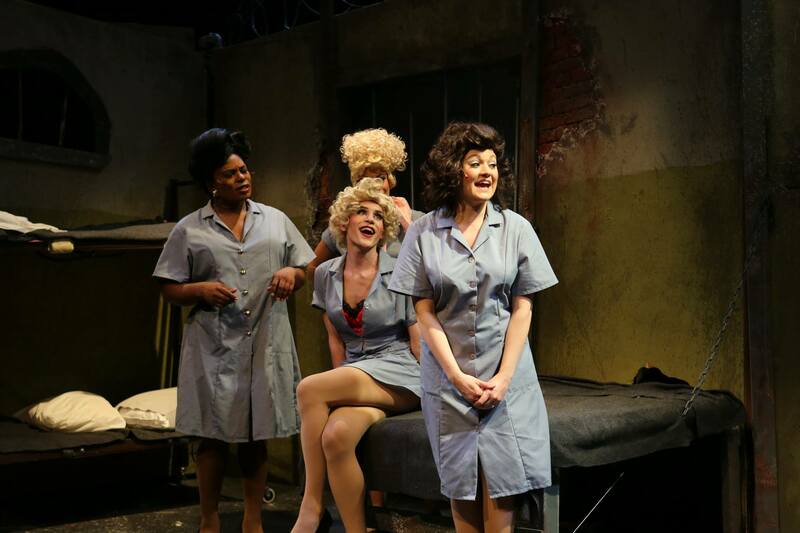 Chicago Reviews by Richard Eisenhardt – The best part of the show for me was a Puerto Rican performer, Google Gomez, played by Elizabeth Morgan. Chicago Critic – There’s also a … Puerto Rican performer Googie Gomez (Elizabeth Morgan, easily the scene stealer). Talkin’ Broadway: The female characters are a lot more fun …beginning with Major Malone’s daughter Mary, played by Elizabeth Hope Morgan. Her comic timing and sold vocals make her the standout in this cast. Performink: Elizabeth Hope Morgan, as femme fatale Mary Malone, works her songs skillfully, drawing the greatest number of laughs. Time Out Chicago—There are two assets here: Elizabeth Hope Morgan’s delightful voice and comedian Ken Barnard’s awkward stage exits. Chicago Tribune – A sly Elizabeth Morgan…. Gay Chicago Magazine – Chief among the actors [is] Elizabeth Hope Morgan. Morgan is particularly unfaltering, playing this saucy style like she was born into it. She delivers lines like, “Who knows what ghastly atrocity is coming next?,” with such relish we can’t help but laugh. She also delivers a spotlight solo free of cringes and full of perfect comedic timing.